Why use Pervious Concrete? – Burns and Sons Concrete Inc.
Burns and Sons Concrete Inc.
Economic Sensibility is One of the Leading Benefits That Makes Pervious Concrete Pavement the Preferred Choice. Property developers and owners will greatly appreciate the cost savings they’ll realize as a result of reduced or eliminated expenses normally incurred for the construction of required stormwater drainage systems and retention areas. The use of Pervious Concrete Pavement reduces or eliminates the need for these systems and stormwater management will be more reliable and consistent. Contact Us for a comparable savings analysis on your current construction projects. What developer doesn’t fight to make available and maximize the commercial use of every square foot of their property? 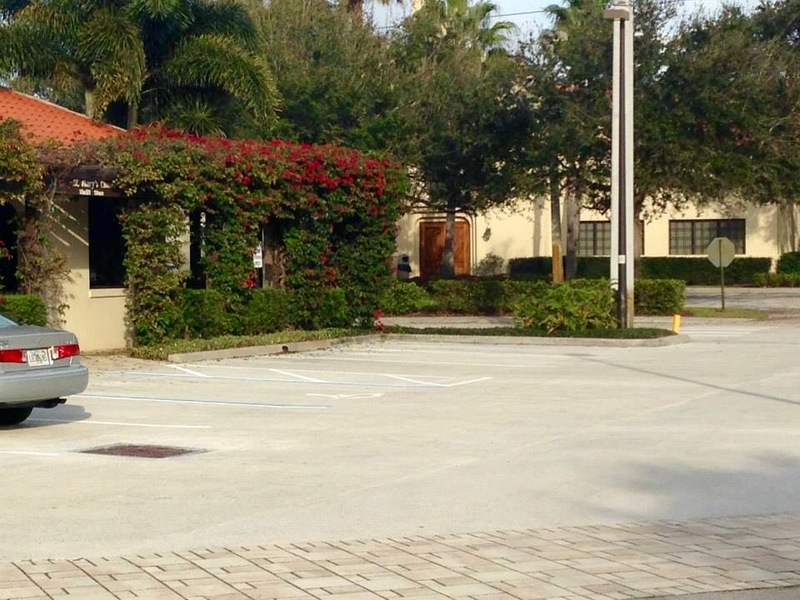 Sites designed with Pervious Concrete Pavement drives and parking areas will allow you to increase the square footage available for commercial utilization. This ultimately enhances the property owner’s return on their investment. Pervious Concrete Pavement’s durability has proven itself and will outlast all other common paving materials. Water is a main contributor to the deterioration and destruction of our paved roads and parking lots. Unlike other pavement materials, tests prove that Pervious Concrete Pavement becomes stronger and more stable when it gets wet. This is a significant factor as to why it does not deteriorate as fast as other paving materials. Longer lasting durability in a harsh environment is a significant benefit. As a result of Pervious Concrete Pavement’s long lasting durability it requires substantially less long-term maintenance and repair. Expensive maintenance for pothole repairs and asphalt resurfacing are virtually eliminated. Just another economically sensible reason to Contact Us today for more information about this remarkable pavement! Standing water is a common problem in roads and parking lots throughout Florida. Torrential Florida rains can turn streets or parking lots into treacherous surfaces without warning. Oils from asphalt turn pavement into a slippery ice-like surface. Hydroplaning becomes a vehicular hazard. Also customers or pedestrians can become instant victims of serious injury due to a slip-and-fall on wet pavement. These can be costly liabilities to property owners and insurance companies. With the use of Pervious Concrete Pavement these common hazards are all but eliminated. Now that you recognize the economic benefits, also worth mentioning are the many environmental advantages gained as a result of choosing Pervious Concrete Pavement. The benefits are significant and worth considering when determining what pavement is best suited for your particular projects. We are Burns and Sons Concrete Inc., a NRMCA Certified Pervious Concrete Craftsman located in Florida.